So when and how did you get into quidditch? I started quidditch in September 2016 when I began university in Manchester. I had already heard of the sport before starting and wanted to try something different where I knew there would be people with interests similar to mine while also keeping active. Sure enough, by my first Northern Cup, I knew this was going to be my passion. The unique features of the sport drew me in and the people I met kept me here! What's your role in the Quidditch Premier League, and what does that consist of? I am Acting Communications Director, which means that I oversee the whole Communications department for the league. I coordinate with press for publicity opportunities so they publicise our big news and events, such as the recent announcement of the Championship venue in Greater Manchester. I oversee our social media pages on all platforms and make sure that they have up-to-date content, working with our Comms team to create fresh ideas that get the Quidditch Premier League name out to the public. What's the biggest thing you've learned while volunteering for the Quidditch Premier League? I’ve learned so much since joining the Quidditch Premier League, and have really expanded my skillset - and I’m so grateful for the opportunities that have come my way. Out of everything, I would definitely say that learning what social media content captures the attention of people within the quidditch community and of people outside of it has been a key learning point. Our aim includes catering for our current audience while also widening our reach to draw new people into the sport to help it grow. We are still a niche sport and I know that my department has the primary role in showing it to the public in the best possible light, so I have come to appreciate how important that balance is. What are your goals for the Comms department in 2019? The Comms department has grown rapidly over the league’s time, and I am grateful to have a wealth of talent here. I would love to utilise video content much more this year as there has been a growing interest in having high quality streaming and footage in the sport. After the success of the Cheers Mate coverage at the 2018 Championship and our plans for coverage in 2019, I am hoping to see our video content increase in quality and quantity. In addition to that, I would like to see a growth in our reach across all platforms; we’ve had incredible reach which has grown each year (hitting over one million Twitter impressions last year) and I want to not only keep up the trend, but blow previous figures out of the water. What's been your highlight of your time with the Quidditch Premier League? 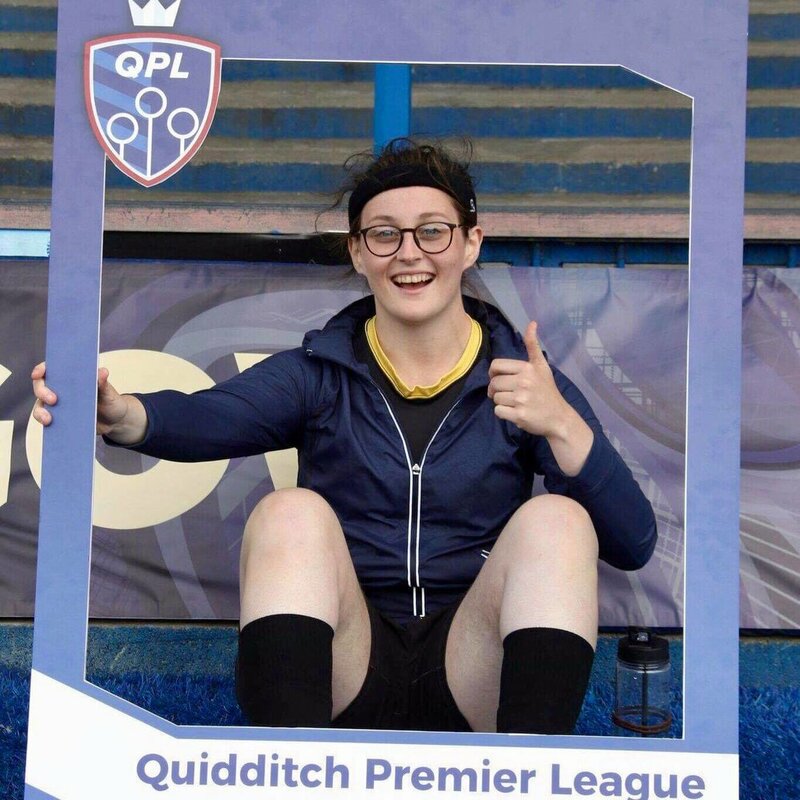 I have had a blast both on and off pitch since joining the Quidditch Premier League, having joined the Comms team in 2017 and played for the Northern Watch in 2018. I hugely enjoyed meeting up with everyone at the staff weekend in November where I met with volunteers from across the league, had a laugh with everybody, and created content with an eye to the future. The league has such a great group of volunteers and I am constantly seeing their work being realised, so that weekend was an opportunity to see behind that and get to know everyone a little better. I’ve especially had a great time working with Tom Ffiske, whose role I am stepping into, and am so grateful to him for the guidance since I first joined the organisation.